Mardi Gras (Fat Tuesday) has come and gone for another year. It is the day (the celebration usually ends up being about three weeks long) to celebrate before the Catholic tradition of sacrificing and fasting during the 40 days of Lent. 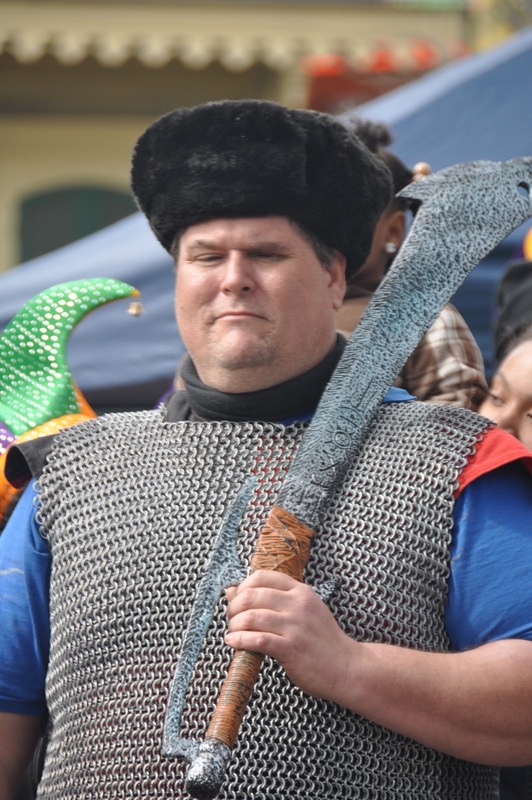 Thousands of people have witnessed the parades throughout the Gulf Coast South and caught or been hit by numerous flying objects including necklaces, spears and moon pies. The Sunday before Mardi Gras, my wife and I joined our two sons, their families and thousands of others on St. Charles Avenue in New Orleans to witness a portion of the annual party. We went away with numerous necklaces, a spear and a few stuffed toys - not to mention tired, achy bodies for standing all day long with arms outstretched joining others shouting "throw me something, mister." Typically there are about three parades down St. Charles on this Sunday, but because of bad weather on Saturday, two were delayed and ran the route on Sunday. Parades moved through the area from around 9 a.m. until the last one which started around 5 p.m. We didn't see the first two and decided to head home around 4 p.m. missing the last one of the day. Our home is about two hours east of New Orleans when the traffic's not bad. Going into the Big Easy, we were making extremely good time until getting into the city proper when we hit a backup on all three lanes of Interstate 10. It was stop and go traffic for about 50 minutes before we exited the interstate and got onto Claiborne. We missed the turn to get to where our family was and took a tour of a different part of the city before realizing our mistake. None-the-less, we managed to find a $10 parking spot just a couple of blocks off St. Charles and went off to enjoy the day. Revelers were almost shoulder to shoulder along the route while others had put up canopies and brought along their chairs and coolers and were settled in for an enjoyable day. Sunday's weather was great. It was sunny, a cool wind was blowing and everyone seemed to be having an enjoyable time.